The Park Street Corporation Speaker Series begins at Boston College in Spring, 2016 with the goal of convening distinguished professionals, scholars, and activists from medicine, health care, and other related fields around timely subjects related to the intersections of health, humanities, and ethics. In March, 2016, Dr. Paul Farmer, co-founder and Chief Strategist of Partners In Health, will inaugurate the series with a keynote address: “Universal Health Care? From Slogan to Mantra.” The 2016-17 Park Street series will take up the theme of Health, Humanity, and Ethics: Histories and Futures. Please check back for 2016-17 calendar events later this spring. 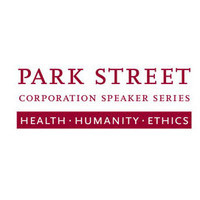 The Park Street Corporation Speaker Series in Health, Humanities, and Ethics is sponsored by the Park Street Corporation and by Boston College’s Institute for the Liberal Arts.